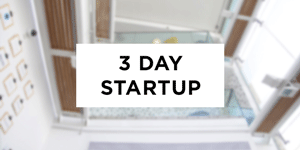 The 3 Day Startup is an incredible 48-hour learning-by-doing, weekend workshop that teaches entrepreneurial skills to university students in an extreme hands-on environment. The summer 2017 edition of this workshop will be taking place in London between Friday 9 June and Sunday 11 June. Participants arrive – with or without startup ideas – and a facilitator leads the group through dedicated brainstorming, preliminary pitches/feedback, and team selection modules. Some teams work late into the night and others prefer to rest up in preparation for day 2. Customer discovery (teams exit the building or hit the phones and talk to potential customers), structured mentorship, intermediate pitches and feedback sessions. Day 2 places heavy emphasis on business model generation. Continued execution (including pitch workshops) leading into final pitches/demos to an esteemed panel of mentors and investors. Visit the page here to register your interest for our Three Day Start Up.